Moscow, Russia – All eyes in the travel industry will be on Moscow and St. Petersburg this September, as Russia’s capital gets ready to host the OTDYKH 2019 and Russia's second major city prepares to host the General Assembly of the World Tourism Organization, at which representatives from 156 countries will participate. It is the first time that this biennial event is being hosted by the Russian Federation. Moreover, St Petersburg is the first Russian city to sign a cooperation memorandum with UNWTO, which was signed in July last year in order to facilitate the development of cultural, winter and medical tourism as well as technological advances related to the travel industry. OTDYKH International Travel Market is Russia’s leading B2B travel and tourism event. Since 1995 OTDYKH Leisure is a traditional meeting spot for travel professionals, including tour operators, private companies as well as national and regional tourism agencies. These two landmark events in the Russian travel industry – which take place in the same month – mark not only an important development in Russian travel but also a fantastic opportunity for companies in the travel industry looking to take advantage of the lucrative Russian market. 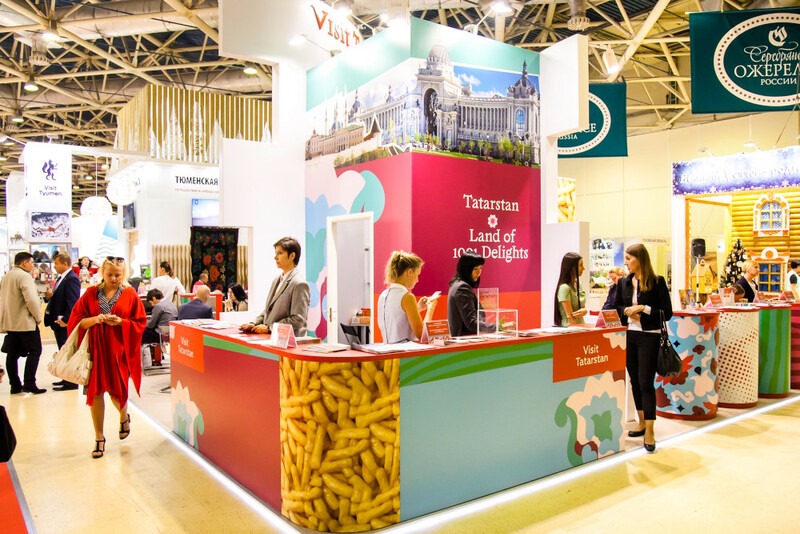 Visitors can conveniently attend both events, as Moscow and St. Petersburg are connected by a high-speed train which travels between the two cities in just four hours. In an exciting development in the run-up to OTDYKH, the Republic of Komi and the Republic of Crimea have decided to increase their stands this in order to showcase even more information at the upcoming expo. The expo also welcomes several new-comer Russian regions which are the Republic of Buryatia and the Kemerovo Region - both located in Siberia - the Primorsky Region in the Far Eastern Federal District, and Russia's largest island, Sakhalin. In addition to this, 23 other Russian regions have already confirmed their participation in the expo, with many more expected to sign up in the coming months. These include the Republic of Karelia, home to the beautiful Kizhi Island, and the Republic of Tartarstan, of which the capital Kazan receives over a million tourists every year. Last year 44 Russian regions displayed at the expo. Over 38,000 visitors attended the expo in 2018, as well as 287 media attendees from 80 media partners. This year will feature multiple conference halls with guest speakers and exclusive live performances. The business programme will combine all relevant sectors of the tourism value chain, from MICE and Luxury Travel to Health and Gourmet Travel.